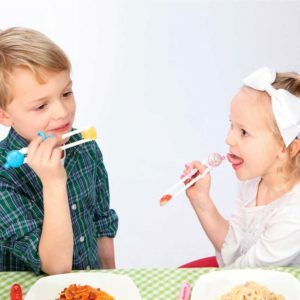 CleverstiX.com is delighted to reveal exciting news regarding new expert investigation into the benefits of using our Child Development Cutlery! 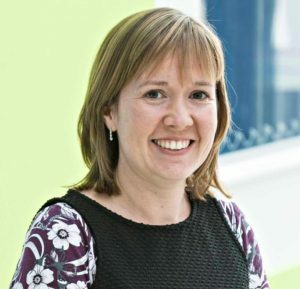 Under the guidance of Dr Emma Haycraft, the Loughborough University Centre for Research into Eating Disorders and Behaviours (LUCRED) is to conduct a dedicated research project into how CleverstiX might be helpful for children with eating problems, or for particularly fussy eaters. LUCRED’s work focuses on researching eating behaviours and eating problems across the lifespan. It includes a particular focus on caregiver-child interactions around eating and mealtimes, as well as exploring food neophobia (fear of new foods) and fussy eating in children. 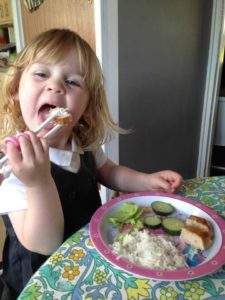 Loughborough University is also behind the Child Feeding Guide, which Dr Haycraft and colleagues designed to help parents and child-carers with feeding children. The aim of LUCRED’s investigation is to conduct a formal evaluation to verify whether CleverstiX can indeed be helpful and constructive for youngsters with eating difficulties based on compelling evidence. 24 sets of CleverstiX have been supplied and will be used by 3-5 year old children over several weeks. 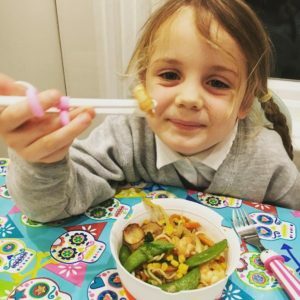 Each child’s parent will assess their child’s use of the CleverstiX during the project to determine whether use of the cutlery is seen to improve children’s eating behaviours. 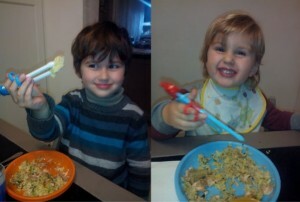 This development is the latest expert appraisal of our child development cutlery, following the endorsements of CleverstiX by paediatric Occupational Therapists within the context of acute advancement of fine motor skills, dexterity and co-ordination – particularly for Special Needs children with DCD, Dyspraxia or similar conditions. The results of the LUCRED research are due in April 2017.